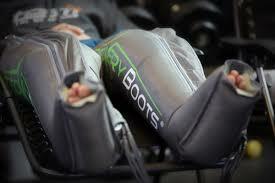 RecoveryPump are the leaders in aggressive muscle recovery. 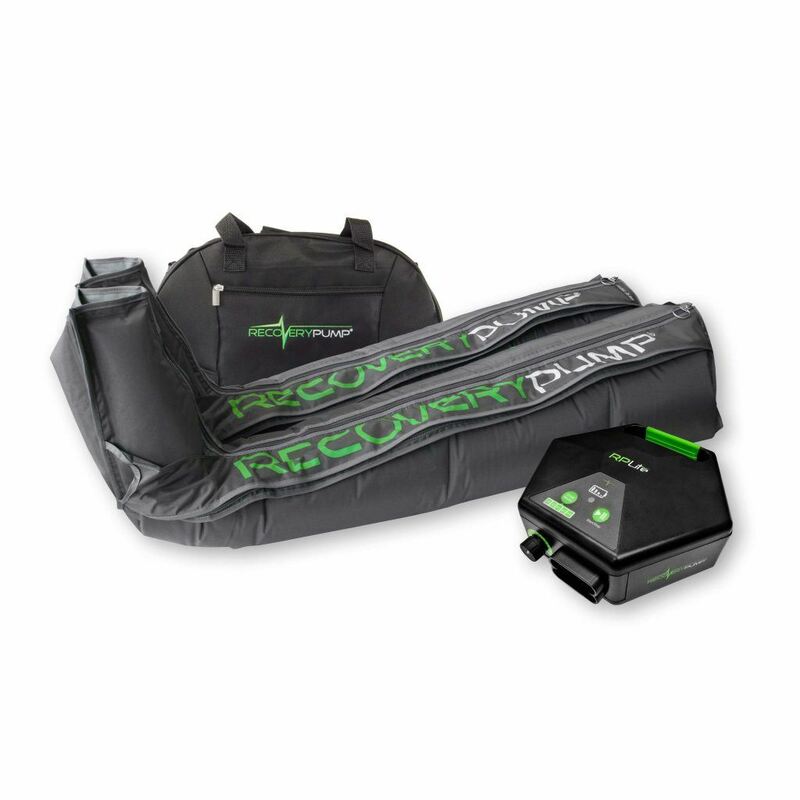 RecoveryPump’s powerful sequential pneumatic gradient compression device is portable and highly effective for expediting recovery with a range of revolutionary garments for all body parts. It is the ideal recovery device for any athlete who is trying to reach their peak performance which is evident as so many top athletes use the product for muscle recovery and rehabilitation. 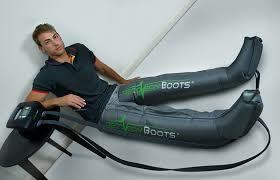 The RecoveryPump Boots have four chambers that run from the foot to just below the hip. The garments use a gradient compression, inflating sequentially from the foot chamber to the upper thigh. The gradient compression is then released resulting in blood flow back to the leg and foot. The RecoveryPump Boots produce a quick cycle time; 1 cycle can be completed in 45 seconds to 1 minute allowing more cycles than competition products to aid recovery. This is in comparison with our competitors with a cycle time of 3 to 5 minutes. The sequential gradient compression allows for the stimulation of the venous system moving blood from the furthest extremity back towards the heart removing waste products such as creatine kinase which is elevated after intense exercise (Kraemer, French and Spiering, 2004). This results in the elimination of the metabolites that cause fatigue and soreness in the muscles. Additionally, the pressure gradient produced by the RecoveryPump Boots aids the recovery of the neural function and proprioception after exercise leading to a quicker recovery time (Staley and Richard, 1997; Kraemer et al, 2001). The design of the RecoveryPump Boot means that blood flow is stimulated from the sole of the foot covering the entirety of the limb and finishing just below the hip. The foot compartment of the RecoveryPump Boot ensures that pressure is applied from the top and bottom of the foot enabling a reduction in stiffness and swelling (Chleboun et al, 1995) through the entirety of the lower limb. 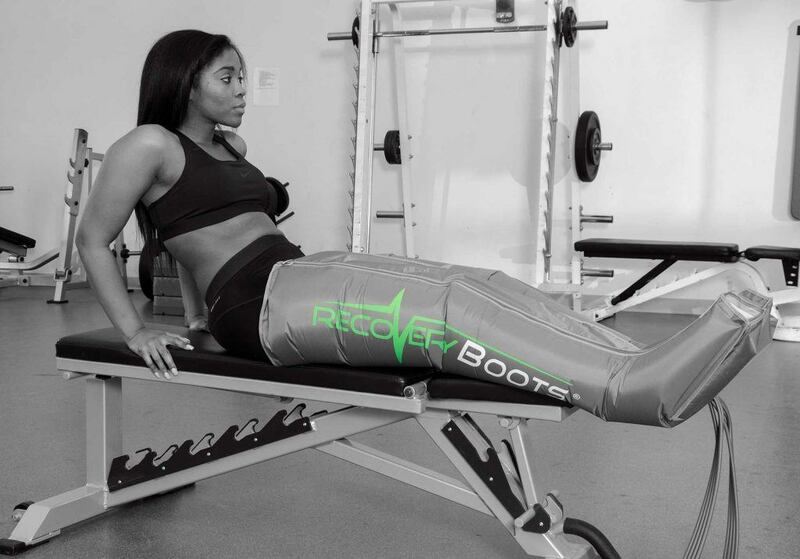 The RecoveryPump Boots sequential gradient compression, when used after training or competition has been shown to decrease heart rate back to resting levels (Waller et al, 2006). There is a high correlation between muscle fatigue and elevated heart rate post exercise and therefore if heart rate can return to normal resting levels quickly athletes may recovery from exercise faster and experience lower levels of muscular fatigue. Furthermore, Nicolaides et al (1980) found that when using sequential gradient compression, blood was pumped from the distal compressed vessel moving in a proximal direction. Furthermore, it was found that venous blood became trapped in the distal veins when uniform compression was used. In contrast, fibrinolytic activity (process that prevents blood clots) was greater when sequential gradient compression occurred. Therefore, the sequential gradient compression in the RecoveryPump Boots speeds up recovery from exercise and can enhance performance.